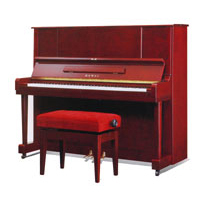 We offer a way for you to achieve buying a piano, stress-free. You pay 50% of the recommended retail price of the piano, (eg price is $5000, you pay up front $2500) and then you make fortnightly repayments direct to our bank account. The faster you pay for the piano the better we like it. We will deliver the piano and you can play it whilst you are paying it off. We treat every Payment plan enquiry on its on merits. Everyone has there own story and these need to be considered. This option is very popular for several reasons. 2. You were not planning on buying today, but found a piano you like. 3. You might want a piano that is above your price point. Ring now on 9477 5866 and talk to Diane about the piano for you and what is available for hire or rent. We need the piano to be listed on the contents of your home insurance.